Durable table bases with a stylish wooden column and powder coated Black base and stylish Beech column. Available from stock for a free and fast delivery. Easy to assemble. 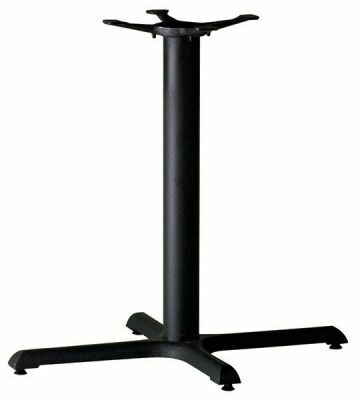 Commercial standard table base with an all over black powder finish, please select table top from our fantastic collection. Please note that fixings are not always included with table top and base combinations.